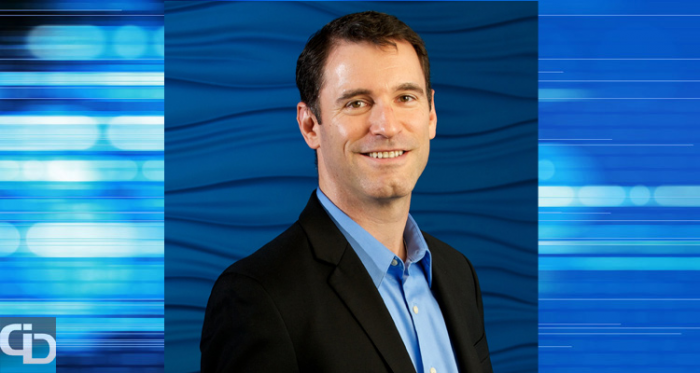 Exclusive – Ryft VP of Engineering Pat McGarry Talks Analytics and Live MusicPatrick McGarry is the Vice President of Engineering for Ryft, a top provider of high performance data search and analysis products to the world’s most sophisticated users of big data. Pat has over 20 years of experience in hardware and software engineering, computer networking, and has the unique combination of outstanding leadership skills combined with extensive technical experience. icrunchdata talks to business leaders in the technology and analytics space to learn about what they are currently focused on, explore their career path and talk about what their interests outside the office. We recently caught up to Pat to discuss the latest developments at Ryft, what we should look for in the market in 2016 and college football game day at his alma mater, Virginia Tech. You are the Vice President of Engineering at Ryft and have been with the company since January 2014. What have been a few of the biggest changes in the organization since you started? We’ve made tremendous progress developing a robust product for large enterprises. Ryft was previously known for making FPGA-accelerated data analytics architectures for government use. Since I joined, I’ve been excited to help lead the team that has developed and delivered a commercial, enterprise-grade product that eliminates ETL (Extract, Transform and Load) and indexing bottlenecks while accelerating data analytics by 100X – all in a 1U device. The team not only created this high-performance product, but we created it with a Linux front end and an open API that makes it easy to use. Getting insights from data is integral to businesses today, and most organizations are working on decades old x86 computing architectures. It was time to change this slow status quo, and since I’ve joined, we’ve been able to do that by releasing the fast, simple to use Ryft ONE. Ryft just announced and showcased the Ryft ONE as an ideal solution for edge computing. What are the top two or three key factors that make Ryft ONE a real disruptor in this space? There are four very real benefits that make the Ryft ONE a disruptor. Size. Simplicity. Performance. Efficiency. The Ryft ONE is a 1U device, which for those who don’t know, is just a bit larger than a pizza box and requires less power than a hairdryer. A single Ryft ONE outperforms Spark clusters containing a hundred or more high performance servers by eliminating the traditional bottlenecks associated with data analytics – indexing and ETL. It’s able to do all of this via a Linux front end and an Open API that allows users to call analytics algorithms using their preferred mechanism, be that via a programming language of their choice, a command line interface or a web interface. The amount of high-velocity data is rapidly increasing, and organizations need a good way to analyze this before the data goes stale. One way organizations are looking to do this is to move toward edge computing. Edge computing consists of putting micro data centers or even small, purpose-built high-performance data analytics machines in remote offices and locations in order to gain real-time insights from the data collected. Often, by the time you move data to a central location to be analyzed – not to mention ETL and index the data – the data has lost all of its value. Without having to move the data to a central data center, analytics at the edge can simplify and drastically speed getting insights from data while also cutting costs. Moving and transforming data created at the edge drastically lengthens an organization’s time to make a decision (we call this “Mean Time to Decisions” or MTTD), and this is unacceptable for any reason, especially when an edge-computing platform that eliminates moving data provides the near-instant intelligence needed. Organizations cannot afford to wait days, weeks or even months for insights from data, and with data analytics at the edge, they don’t have to. Additionally, organizations have been reliant on large and complex clusters for data analytics, and these clusters are rife with the bottlenecks I mentioned above. While centralized infrastructures sometimes work for analysis that relies on static or historical data, it is critical for many of today’s organizations to have fast and actionable insight from both streaming and historical data for gaining and maintaining a strong competitive advantage. The Ryft ONE enables this by simultaneously analyzing batch and streaming data at rates up to 10GB/sec. Lastly, because you’re able to run real-time analysis on your data, organizations now have the ability to “fail fast” – getting an answer from your data, realizing it isn’t the information you need, and re-running analysis to get insights more applicable to your question or business need. This can literally happen in seconds. Instead of waiting days or weeks to get the first answer – and by that time the data is likely out of date – organizations can now understand what information they need, and don’t need, before their data goes stale. This enables organizations to get deeper insights from more of their data. What is next for Ryft and what should we look for coming out of the company in 2016? Moving into 2016, you’ll see continued technology advancements from us that will continue to simplify and increase the performance of the Ryft ONE. It’s our mission to power data-driven businesses by unlocking actionable insight from data. In the next year, we’ll continue to innovate to enable organizations to get better and faster insights from their big data. The common denominator is the diversity of data formats and structures, as well as the large amount of unstructured data. There is an urgent need to bring faster search and analytics to all business data, whether it is in the data center, or at the edge. This is truer than ever with the explosion of Internet of Things data. Your wrote a blog post here titled ‘Hadoop vs. The Hype’ where you explained that companies that have invested in Hadoop technology are experiencing less than stellar results, and only 11% of organizations plan to invest in Hadoop in the next 12 months. What is the biggest, overhyped aspect of how Hadoop is supposed to innovate big data technologies? The most overhyped aspect about Hadoop is the belief that it can handle massive datasets and make them useable. Can it do that? Sure, to some degree. But the reality is that it is the combination of newly-arriving streaming data, and correlation of that fresh information to historical datasets, whether structured or unstructured that offers real business value. Hadoop can’t deliver that to scale and with high performance, so Hadoop can’t innovate in today’s big data technology space. Now, having said that, there are alternate clustering technologies such as Spark to assist with some of those issues, but such topologies have many of the same bottlenecks that Hadoop does, since in the end they are largely based on clustered sequential processors. The real problem here is the “toolbox” problem – Hadoop is a tool, and for the longest time, it was the only tool available. It was, so to speak, like a hammer. And when all you have is a hammer, everything looks like a nail. You started your career at Hekimian Laboratories, Inc which was purchased by Spirent Communications and spent the first 10 years of your career with these companies. What are the best skills that you learned during this time that you think have had the biggest impact on your career? Probably the most important skill I learned early in my career was that although individuals can excel, it is true teamwork that makes a company great. Early in my career, I became a team lead, a manager and then a director across multiple disciplines – hardware and software – and things really started to click for me when I realized that it’s the people making up your team that matter most. I struggled for a few years with the importance of process vs. the importance of individualism, and I had one of those “Ah ha!” moments when I came to the conclusion that a good leader implements a process that best fits the team, as opposed to trying to force the team to fit a particular process. And that simple truth has stuck with me over the years. It’s paid particular dividends here at Ryft, as I inherited a team of very talented engineers, and putting the right process in place was step one. You have spent your entire career in technology so I have a hypothetical question. If tomorrow you were forced to take a completely different career path unrelated to technology and analytics, what would you choose to do? Hands down, I’d be a teacher. Probably at the high school level, teaching advanced placement science and mathematics. Why advanced placement? Because students choose those courses, as opposed to having them thrust upon them. I’ve always enjoyed teaching and mentoring people who show a real propensity to want to learn. One of your interests outside of the office is live music. What was your very first concert that you attended and what has been your favorite so far? Wow! What a great question. You know, I can’t recall which concert was my first concert – there have been so many. There were lots of small, local acts that I would go see all the time, but my first national act was probably Faith No More. They were a hybrid punk/metal band that formed back in the early 1980s (they subsequently broke up in the late 1990s, and then they got back together in the late 2000s). My favorite concert so far? So many to choose from, but I’d have to go with Metallica. I’ve seen them multiple times, but by far my favorite show was when my best friend and I had VIP tickets to their back-to-back headline acts on a weekend in Atlantic City a few years back at the Orion Festival that Metallica hosted. Just amazing. I see that you are also a Dallas Cowboys fan. Give us your assessment on them so far this season and what’s your guess as to how they will finish the regular season? I cannot tell a lie, we are not a good football team. Even if Romo comes back from injury soon, with Dez Bryant having been sidelined for much of the season with a foot injury, I think the best we can hope for is to finish .500 this season. We just don’t have a deep threat without Bryant, and even with an above average offensive line, I don’t like our running-back-by-committee approach this season. That might be changing as Darren McFadden is getting more snaps, and we just released Joseph Randle. But with a struggling offense, the defense is asked to do more, and that’s never a good thing. You earned degrees in Computer Science and Electrical Engineering from Virginia Tech in Blacksburg, VA. Let’s say I come into town at 8am on a Saturday morning but I only have 12 hours to check out the city, the campus and it is football game day. Where do I start, where do I eat and what should I do to take it all in? First of all, if you’ve never been to Blacksburg, it’s an amazing place. It’s tucked into the southwest part of Virginia, and Blacksburg is the quintessential college town. It’s small, and the campus dominates life. And what a beautiful campus it is! If you’re looking for a place to stay, I always recommend looking for a weekend rental in one of the apartment complexes – there are usually several available, and most are a short walk from campus. On game day, I’d recommend heading to any of the major parking lots near the stadium for some good ole’ fashioned Hokie tailgating, with plenty of turkey legs and beer to go around. Attending a game at Lane Stadium is always a good idea, and the crowd energy is second-to-none. After the game, walk through campus, either around or across the drill field, before hitting the bars on or around Main Street, which are always fun. My old favorite stomping ground was a place (currently) called Top of The Stairs (during my years at Virginia Tech, it was called The Balcony), which is on West College Avenue across from the student center. A few other great spots are Hokie House and PK’s, both on Main Street. We used to spend many nights at those establishments playing pool, foosball, and, of course, throwing back a few beers. Great Blacksburg recommendations, Pat! Thanks for your time today and for sharing your insights on Ryft, Hadoop, career and more.